Today guests can relax and enjoy these same beautiful views from their comfortable accommodation in the Hout Bay valley. For 27 years Houtkapperspoort has played an important role in our local as well as international guests’ annual holidays to Hout Bay, and we are very proud of our reputation of offering accommodation of the highest standard in South Africa – Cape Town, whilst the tariff remains remarkable value for money. Hout Bay, a short but beautiful drive down the Main Road from Houtkapperspoort, has evolved from a quaint little village to one of the popular towns on the Atlantic Seaboard. The increasingly popular Hout Bay Craft Market is held every Sunday at the common between 10am and 4pm. There are pony rides for children, food stalls, jewellery, clothes, second hand books, framed historical photo’s, a mini nursery, and much more to choose from. Approximately 2km from the Common is the largest Bird Park in Africa, the World of Birds. Set aside enough time for this absolute must visit. You are welcome to take a picnic basket and relax before completing your visit, and if you are there at closing time, one of the resident Macaws could bid you goodbye! Although there is ample accommodation in Hout Bay to choose from, Houtkapperspoort has stood the test of time, and has many returning international guests, as well as South Africans, guests from bordering Namibia and even locals from Hout Bay and Constantia. There are many things to do and see, and our Houtkapperspoort staff will assist in arranging a boat trip to Seal Island, give you information on scuba diving, sailing, jet skiing, point you in the right direction to view whales during the season and advise where to go horse riding. An extensive information file is in all the units with many more activities to choose from. Our accommodation in Hout Bay is perfect for short and long stays, for business and vacations, for singles, couples or the whole family. To simplify and make your stay with us more comfortable, you can visit our Reservation option and use the direct shopping link to send us a list of the shopping you need us to do. Houtkapperspoort Mountain Retreat offers you a warm friendly welcome, quality accommodation in Hout Bay, combined with superb nature and local area knowledge to maximize your visit to the Cape. 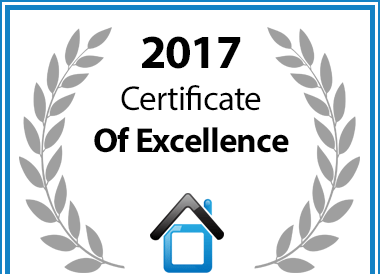 Houtkapperspoort in Cape Town is hereby awarded a Certificate of Excellence in recognition of exceptional service.